BLOG: What’s it like to volunteer for 33 years? Among the long-serving 30 staff and 74 volunteers who recently gathered at a special ceremony to recognise their contribution to St Luke’s was 85-year-old Jeannie Norris, a special lady whose dedication to our charity has spanned an incredible 33 years! Big-hearted Jeannie, who lives in Eggbuckland and has two daughters, four grandchildren and seven great-grandchildren, started volunteering with us after her husband John passed away. With a background in retail gained at Plymouth department store Spooners (now Debenhams), she was well suited to joining our very first – and that time only – charity shop, at Frankfort Gate. She was soon greeting and helping customers there. Since then, Jeannie has gained a wealth of experience across our others stores too, including St Budeaux and the Drake City Centre store, where she has volunteered since it opened in 2011 and puts in two shifts a week, mainly on the tills. Over the years, Jeannie has not only seen our high-street presence soar, with a portfolio of 30 shops where 607 of our 907 volunteers give their time, she’s witnessed the evolution of St Luke’s from our beginnings at Syrena House, Plymstock, to a charity reaching right across the community, caring for patients at home, in hospital and at Turnchapel. This experience that has made Jeannie even more aware of the importance of her role. She said: “I love meeting people in our shop. They often come in with donations having recently lost a loved one, and being that listening ear when they want to chat and share memories is such a privilege. 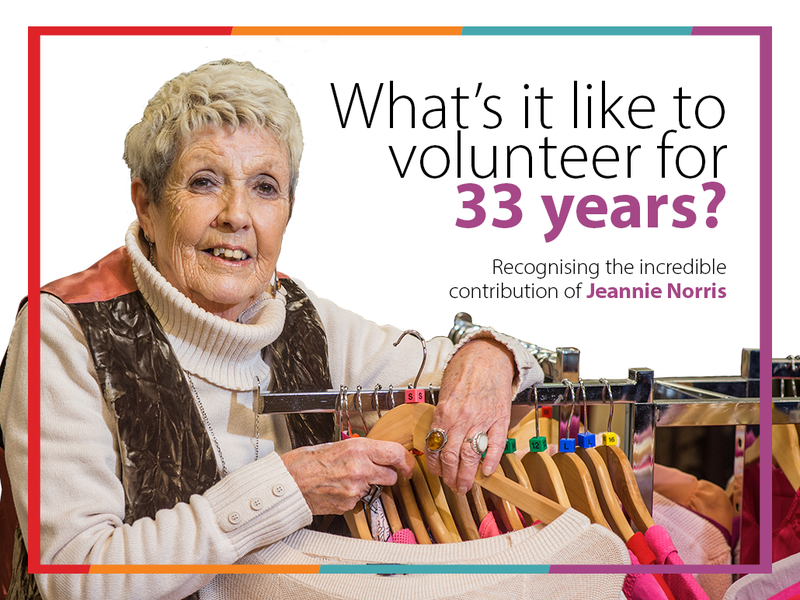 A big thank you to Jeannie for her decades of dedication, and to all our other volunteers and staff recently recognised for their five years-plus service. St Luke’s wouldn’t be here without you! Find out more about volunteering at St Luke’s. https://www.stlukes-hospice.org.uk/wp-content/uploads/2019/03/JEANNIE-NORRIS-WEBBLOG.png 773 1030 Robert Maltby https://www.stlukes-hospice.org.uk/wp-content/uploads/2018/04/stlukes-logo.png Robert Maltby2019-03-26 12:23:082019-03-26 12:37:06BLOG: What’s it like to volunteer for 33 years?